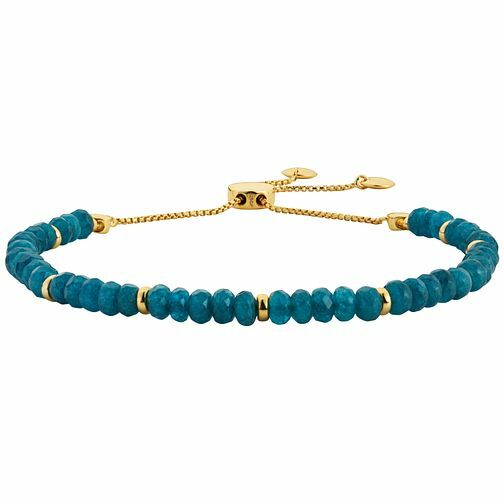 Bright and beautiful, this yellow gold plated bracelet presents a daring display of bright blue dyed quartz beads. A fashionable splash of colour to compliment your everyday wardrobe. Finished with a yellow gold plated sliding fastener, for a secure and comfortable fit.